After a pretty relaxing week off for Thanksgiving, it was a fun weekend in the CQ WW CW contest. I operated assisted and as always using low power (100w). Friday night when the contest started 20m was pretty active with some good DX. I logged China, Antarctica, Ascension Island & Mozambique. 40m was also active with good DX and not too noisy either. I wrapped up the night with 66 Qs and 45 DXCCs in those Qs. Saturday I was able to spend a good amount of the day operating with breaks for various errands. 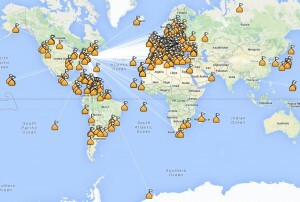 10m had some good activity and much more active on Saturday then Sunday. 15m and 20m were active throughout the day. I’d typically turn the hex beam east, south or west and then switch between 15m & 20m working the stations in that direction. I heard Korea, a DXCC I hadn’t yet logged/confirmed but I wasn’t able to complete a contact. 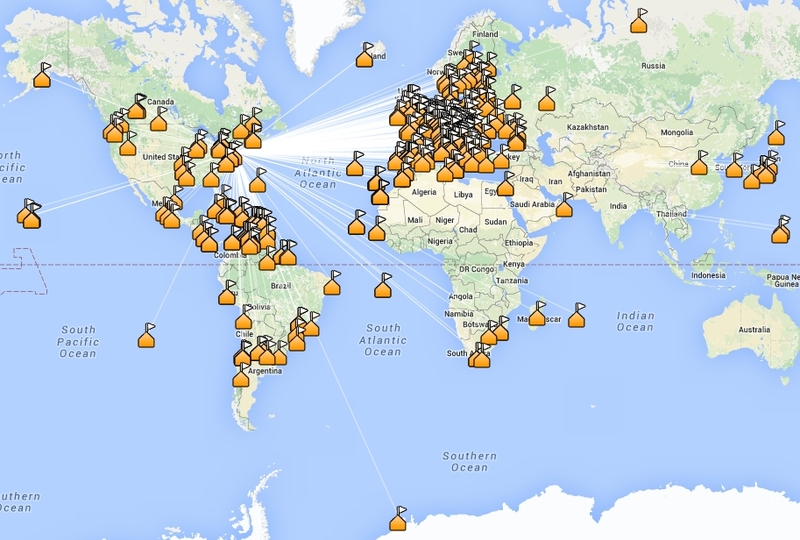 I ended up on Saturday with 321 Qs with 98 DXCCs worked, 74 DXCCs just on 20m. Some of the notable entities logged Israel, Madagascar, Easter Island, Guam, Turkey & South Africa. Sunday I was able to operate in the morning. 10m didn’t have any noticeable activity any time I checked with just 1 or 2 stations logged any time I checked the band. 20m and 15m still had good activity and I was logging stations in DXCCs I had already worked, much more so then Friday and Saturday. But even so, I was able to end up logging 450 Qs in 105 DXCCs when I needed to stop around 1800z/1pm local time to head to a friends 50th birthday party. I thought I was done for the contest when we left for the party but we ended up back home with about 2 hours left so I got back on the air. I ended up hearing Korea again and got them in the log for an ATNO! Other notables also worked Sunday were Oman & Mariana Island. At the end, I worked 491 Qs and 107 DXCCs across 31 CQ zones. Can’t complain about that! Australia, New Zealand, Greenland, Thailand, Indonesia and right at the end India. Log sent in and uploaded to LoTW, eQSL, Clublog & QRZ.